Like any other person visiting Thailand for the first time, I knew I had a "list of things I must do" before returning home. 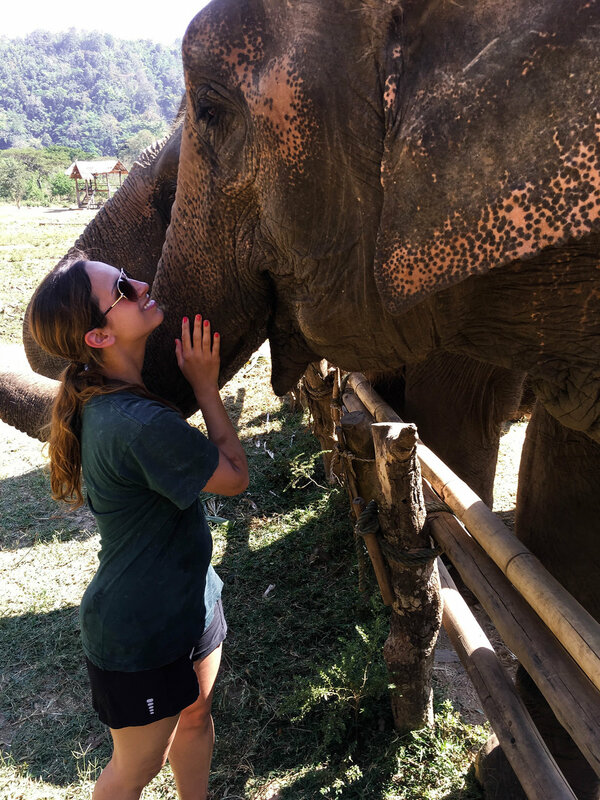 I knew wanted to visit the temples, see the gorgeous beaches, try some street food, and--saving the best for last--play with elephants. 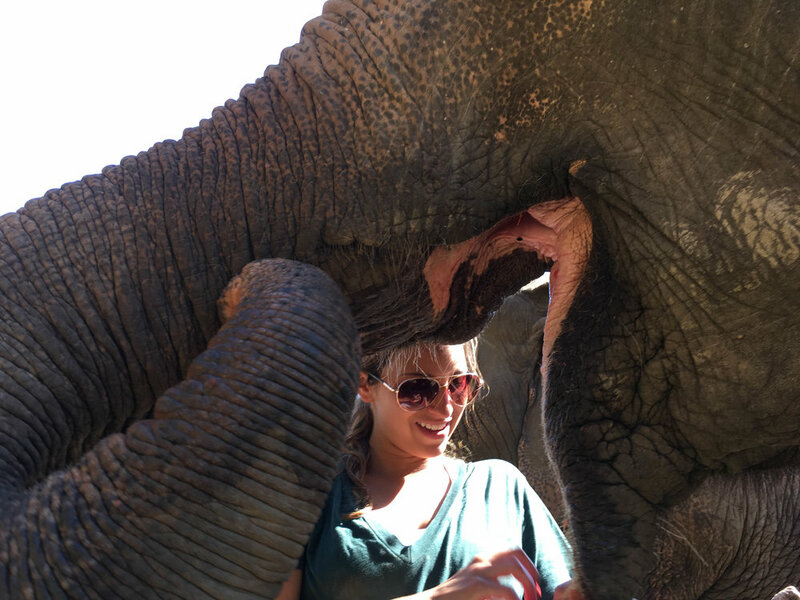 I mean...after seeing tons of pictures online of other people interacting with elephants in Thailand, how could I not get in on that adventure? 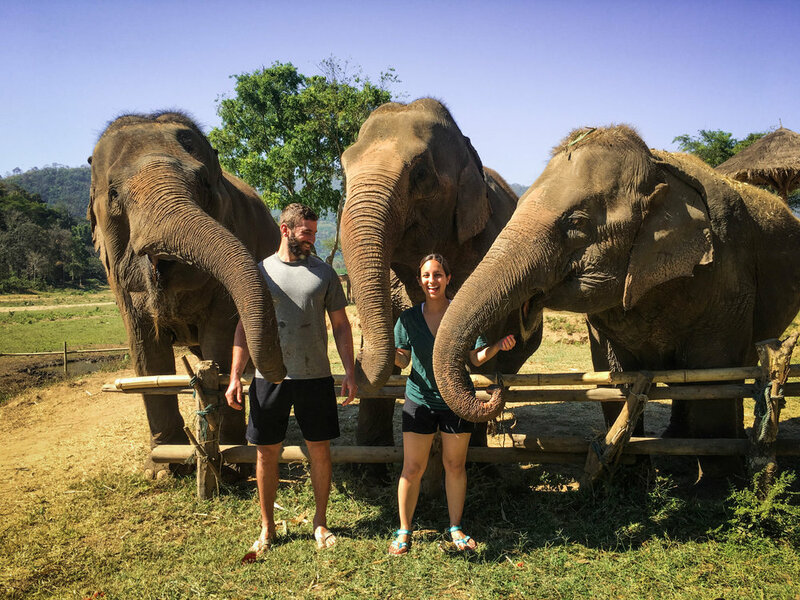 The next step was figuring out the best place to have said elephant experience. I had seen pictures of other people riding elephants, playing with them in the rivers, and feeding them, so I thought, "Of course, that sounds great!" After doing some research, my naïve fantasies of what I assumed to be a harmless excursion with elephants quickly came to a much needed reality check. I was down the Google rabbit hole when I happened to stumble upon an article about the dangers and effects of unethical animal practices in tourism and logging around Thailand. Thankfully (and to my surprise), I came to understand that riding elephants and engaging in any unnatural behaviors with them (i.e. trekking or seeing them in circus-type shows) is actually part of an ongoing problem in the region where companies will abuse, exploit, and mistreat these beautiful animals in order to make money from unknowing tourists whose sole desire is to play with an elephant on their vacation in Thailand. Sound familiar? That was almost me... But how could I have known if I wasn't educated on it first? This beautiful elephant was rescued from the logging industry, where she was forced to work in the jungles and suffered an accident where she lost her back right hoof by stepping on an explosive. I can't express how thankful I was to come across this information before my trip! 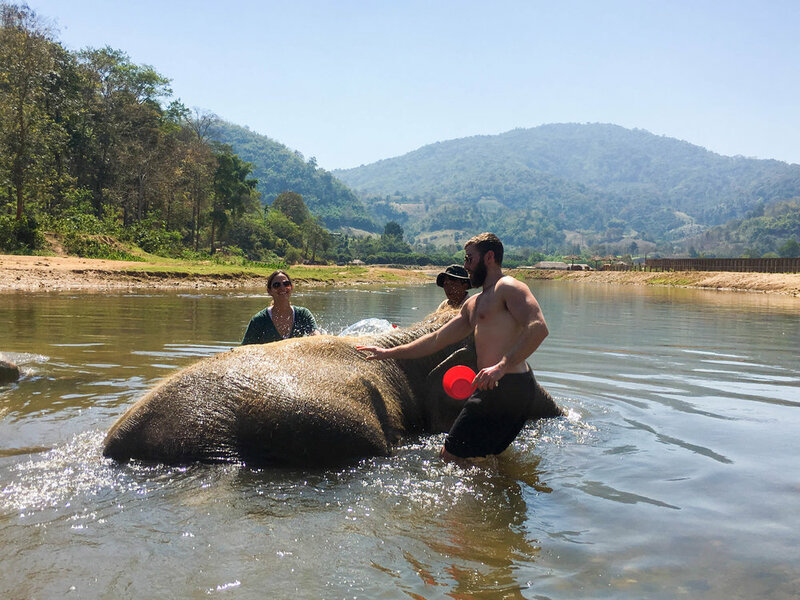 I immediately knew I definitely could not support any type of organization that would do this sort of thing, so I started researching places that were ethically conscious and safe to visit and interact with elephants in Thailand. That's how I found Elephant Nature Park in Chiang Mai. After extensive research, I knew this was the one and only place I wanted to go for my elephant experience in Thailand. 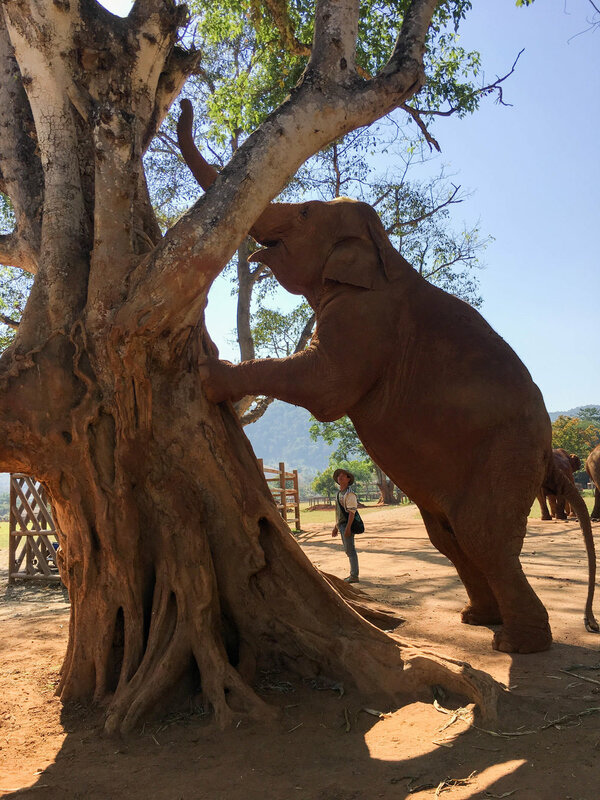 Located in the northern region of Thailand, Elephant Nature Park is a rescue and rehabilitation center where individuals can visit or volunteer to help not only elephants, but a number of other species that are also under their care. This organization was established in the 1990s with an aim to provide a true sanctuary and rescue center for elephants and other animals that are distressed, in need, or abandoned around the country. Beyond acting as a sanctuary and rehab for endangered species, ENP also prides itself on being a leading example for Rainforest Restoration, Cultural Preservation, and Visitor Education. 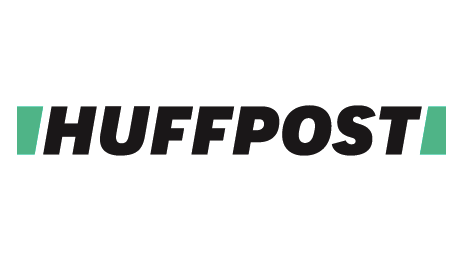 They operate independently from any political or pressure groups that often work to intimidate or motivate companies to use unethical practices for financial gain. 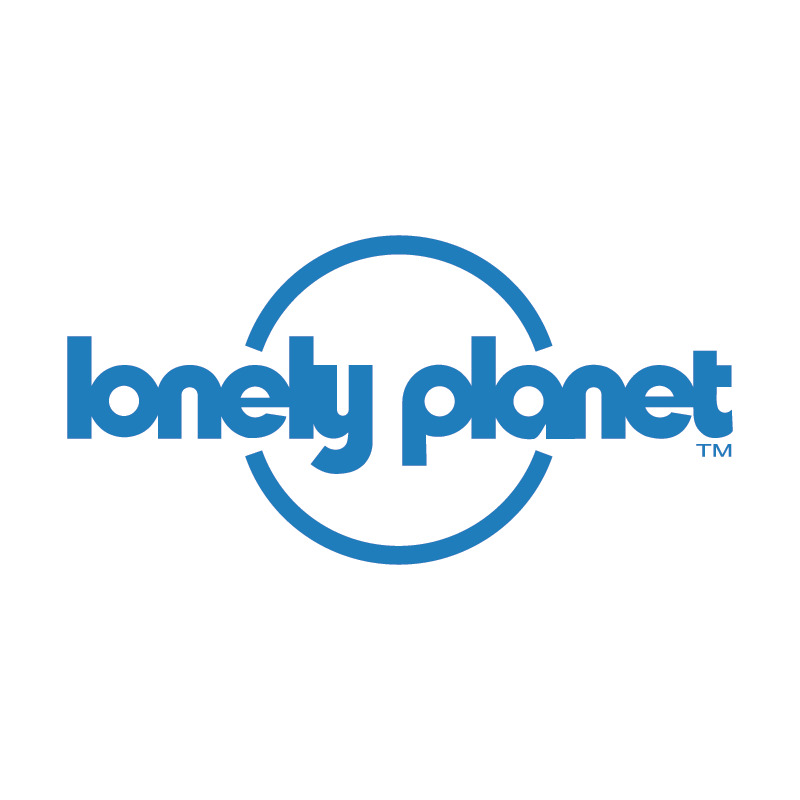 As we learned on site, one of ENP's biggest goals is to educate the public and the tourism industry that providing ethical and safe options for tourists to interact with these animals is not only the morally just thing to do, it's also the best long term solution for the environment and longevity of the species. 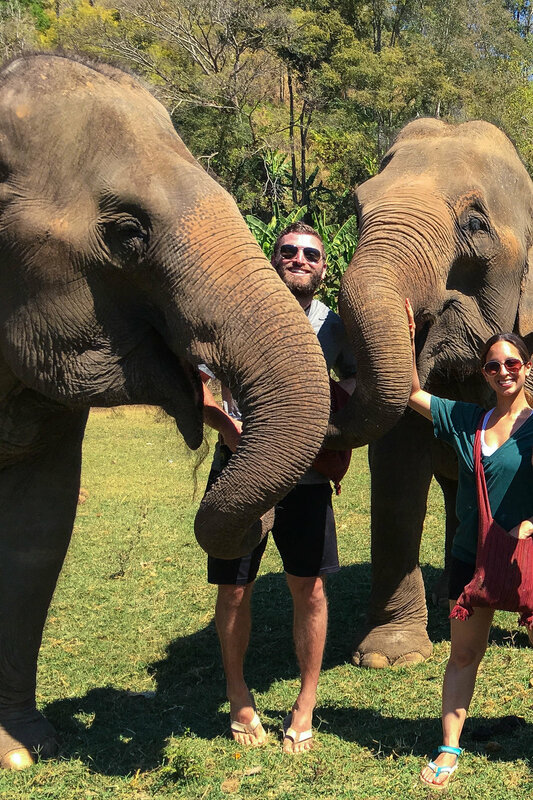 They are also trying to expand their ways of practice to other sanctuaries and centers across Thailand with an emphasis on getting organizations to stop promoting elephant riding and trekking to tourists. 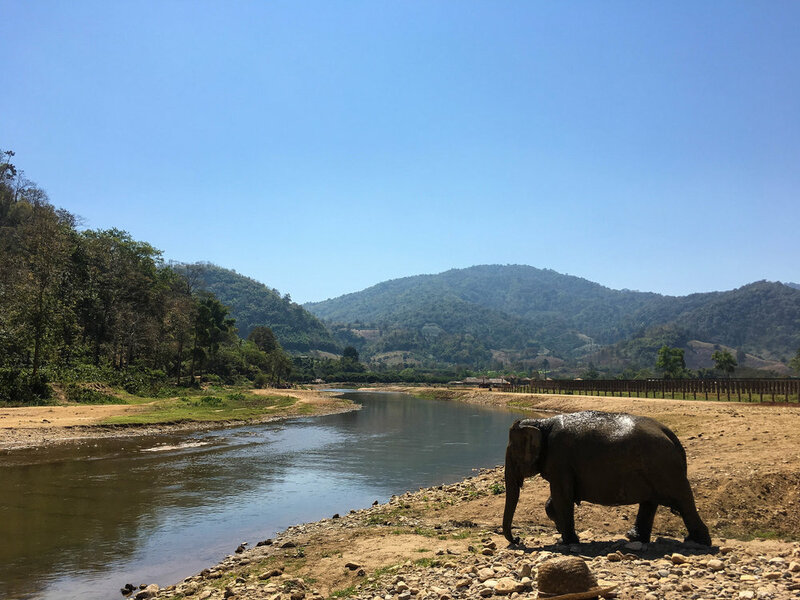 Elephant Nature Park offers visitors a ton of great options for how to visit or volunteer on site. You can choose something as short as a single day visit, or something as long as a 7-day volunteer program. For our visit, we chose the Care for Elephants Single Day Visit and really felt like we had an excellent overall experience. 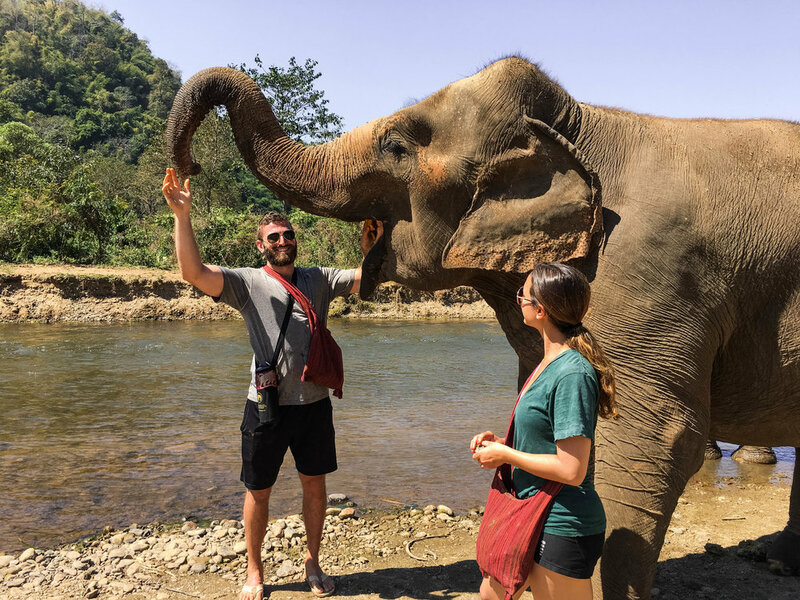 I left practically in tears that I couldn't stay longer, but it was the perfect choice for our time in Chiang Mai and I highly recommend this one for adult travelers who want a more intimate experience with the elephants. PLAN AS FAR AHEAD AS POSSIBLE! 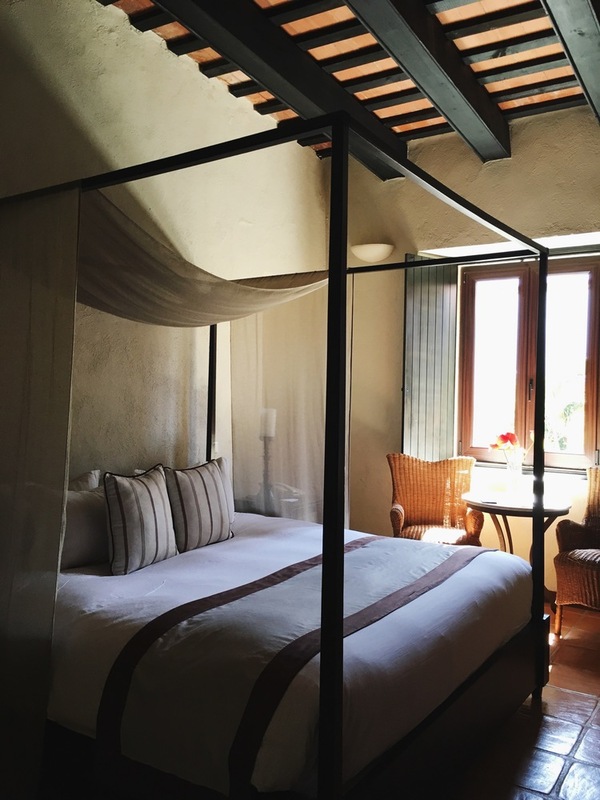 The reservations for these visits book up very quickly, so I recommend booking as far ahead as you can in order to get the experience you want. Transportation to/from your hotel is included in the packages, which was such a time saver and relief. We were picked up early at our hotel by a luxury van and were able to get some information about the organization on the way to the park. We also learned about the sad reality of elephant abuse in Thailand and why ENP does what they do. Dress for comfort and prepare to get dirty. If you're doing the Care for Elephants visit like we did, you're going to get very dirty and muddy throughout the day. Wear clothes and shoes that you won't care about if they get a little muddy or wet. We opted for t-shirts, shorts, and sandals. I wore sandals that had straps around the ankles so they would be more secure on my feet with all the walking we were doing. Pack a small day bag if you'd like. I packed a towel, my camera, sunglasses, sunscreen, bug spray, and a change of clothes just in case. 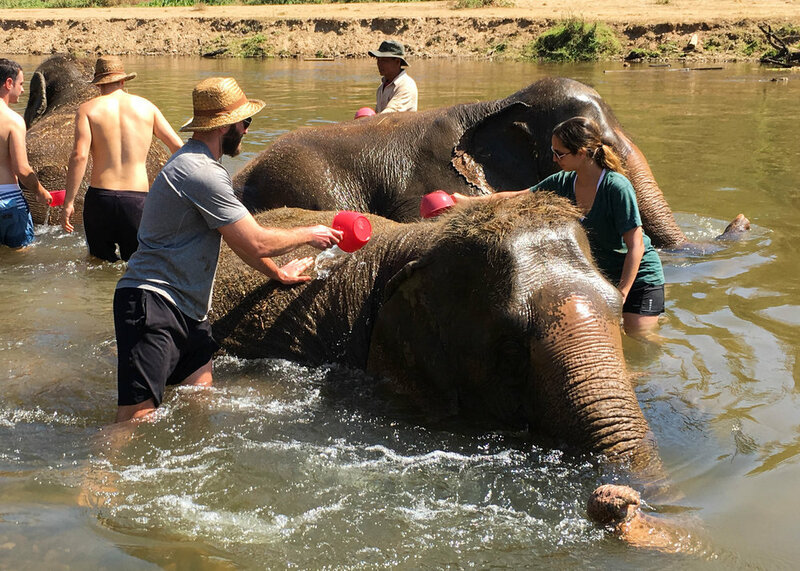 I don't think I even used the change of clothes, but the towel was nice to have after we jumped in the river to bathe the elephants! Food and water bottles are provided. No need to bring your own food as you will be enjoying a lovely vegetarian picnic with your new elephant friends during the day! As I'm sitting here writing this, there's no other words coming to my head besides, "This was one of the best days of my life." From the moment we were picked up by the ENP team, I was excited and ready to take in all the knowledge I could. Like I said earlier, on our way to the park, we were able to get a better understanding for what ENP is all about and the history of why they do what they do. We watched a video in the van about the sad reality of animal exploitation and abuse that runs rampant throughout the region, and it broke me apart. I'll admit, I cried like a baby watching the video. It's a hard pill to swallow... But I'm so thankful that I was able to learn that and understand how important it is to be aware and conscious of what types of organizations you're supporting when you travel. As soon as we got to the park, we were introduced to the three elephants we were going to be caring for and spending the day with. 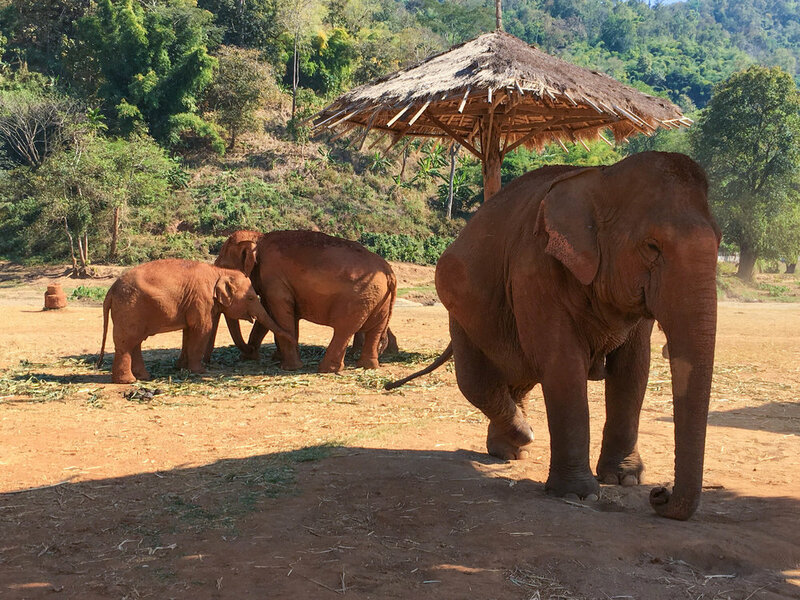 Each of these elephants had been rescued from places that were abusing them for some sort of financial gain (usually through tourism or logging/hard labor). The elephants were so sweet and gentle that it hurts me to imagine that there were actually humans who were harming them at one point in their lives. 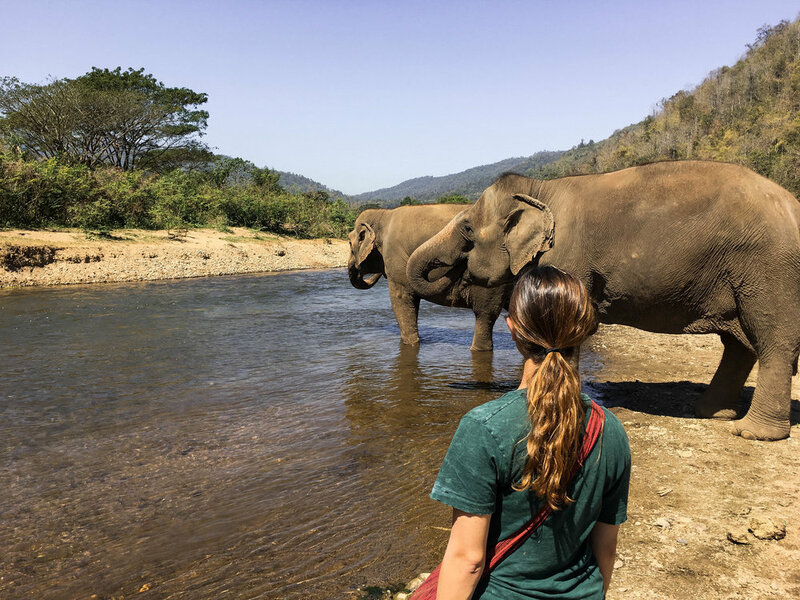 The goal of interacting with these elephants is to rehabilitate them through positive human interactions to demonstrate a different pattern than they have learned in the past. It's basically a big love fest all day between you and the elephants. You get to feed them out of the palm of your hand, walk side-by-side with them, watch them roam around, and even bathe them in the river! 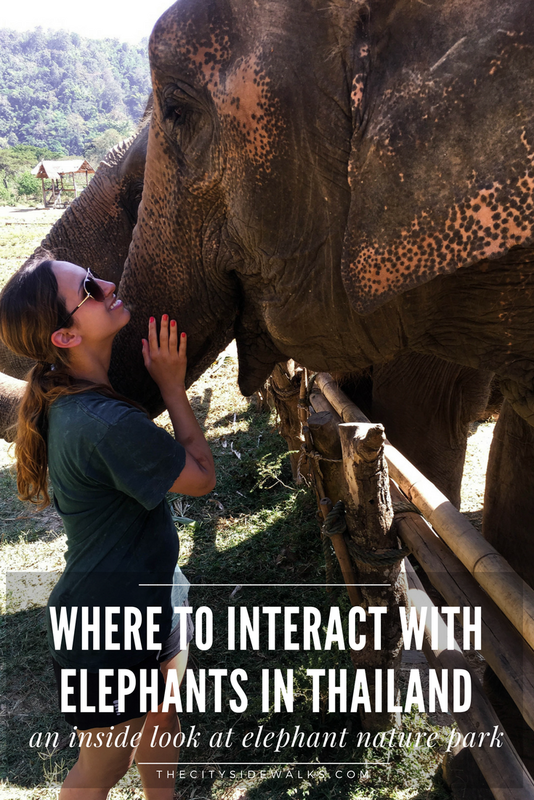 It was pure magic to be interacting with the elephants in such an intimate way. By the end of the day, my heart was so full and overjoyed from the experience of giving care and love to these beautiful creatures. 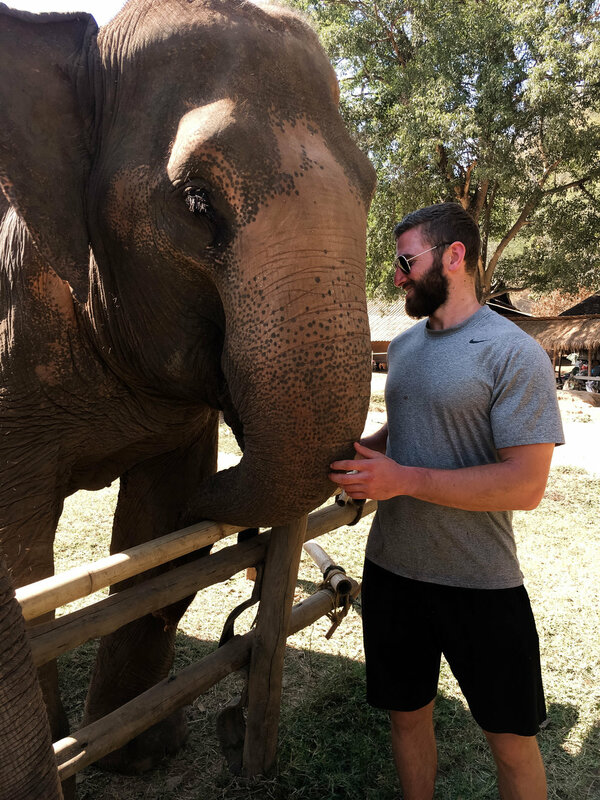 I was so thankful for finding Elephant Nature Park and learning about the work they do in order to rescue and protect as many animals that they can. I simply cannot give enough praise to this organization for what they do and the positive mission that they spread. I highly recommend Elephant Nature Park to everyone who is looking for where to ethically and safely interact with elephants in Thailand!